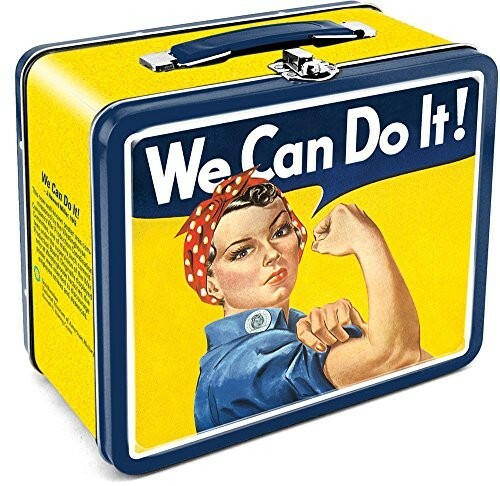 Show off your love of the iconic Rosie the Riveter with this great tin lunch box! This officially licensed, Smithsonian branded box is 8 by 6.75 by 4 inches and features a vibrant graphic of the famous Rosie the Riveter poster. For more great options for backpacks and lunch boxes, visit our Bags and Packs section.